Home / Archive / FAQ / featured / Freeview frequency changes - will you be affected? Freeview frequency changes - will you be affected? The first of a series of Freeview retunes in the next three years due to frequency changes takes place in March. Initially starting off as a simple retune, future events will change the way households receive Freeview. Some may need new aerials. 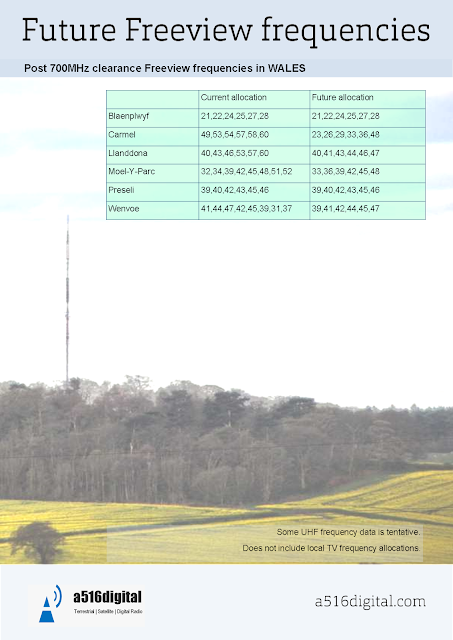 Frequencies currently used for Freeview in the 700MHz frequency band are being cleared for future mobile use. 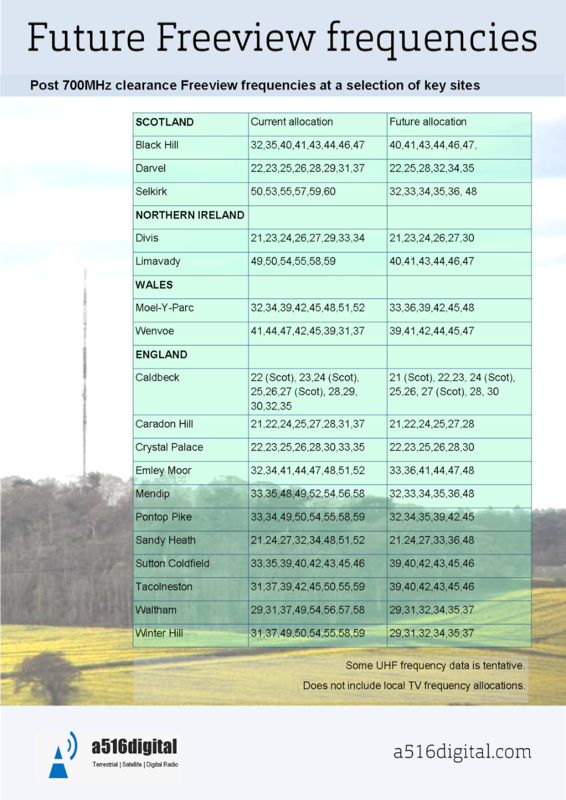 Ultimately, this will have an impact on the number of frequencies available for broadcasting Freeview and will result in changes in the way viewers receive Freeview. Will this only affect Freeview viewers? If you only receive satellite, cable or internet streaming services, and don't have a second or third TV in the household with Freeview, then you will not be affected. You will be asked to retune your TVs or boxes when the frequency changes reach your area. Newer devices are much smarter at retuning, but there will be additional help from Digital UK and Freeview to assist you if you do have problems. The first retune happens on 1st March 2017 in the Scottish Borders, and only affects the BBC's standard definition TV channels broadcast from the Selkirk transmitter - viewers in the area, even those who only watch HD, will need to see if their aerials work with the new frequencies, as other services will be changing frequencies in the future. A list of retune dates haven't been released yet, but the bulk of the retunes are expected to take place in 2018, 2019 and the first few months of 2020. Will the channels I receive change? Possibly- for a small number of viewers, although reception of the core range of Freeview channels should stay the same, albeit on new frequencies. You may lose channels as a result of not having the correct type of aerial, or by using an older Freeview receiver that doesn't support HD. And if you receive a number of different services from different transmitters (i.e. different regional variations) this may not continue after the changes. Full details of how it may impact viewers haven't yet been released by the authorities. For a very small number of viewers, this may actually happen. In such cases the authorities have said they will help viewers switch to other TV platforms, such as Freesat. I can't currently get some Freeview channels like BBC Four HD. Will this change? Although exact plans are yet to be released in the public domain, it's expected that one of the benefits will be access to all of the BBC's HD channels in all areas. Viewers who receive a reduced Freeview service (i.e. without Sky News and Dave) from a relay transmitter are unlikely to suddenly get the full Freeview service after the changes. Will standard definition services cease? It's widely expected that the BBC will push to broadcast all of its services in HD, but that is still some way off. It's likely that commercial broadcasters will continue to offer standard definition channels for some time to come, but, strange as it seems, you'll need HD-compatible equipment to receive them in the long-term. Some viewers may need a new aerial. It's likely to affect viewers using older aerials, as many installations in recent years have involved wideband aerials that should be OK after the changes. Indeed, in many areas you had to have a wideband aerial in order to receive Freeview before analogue TV was switched off. 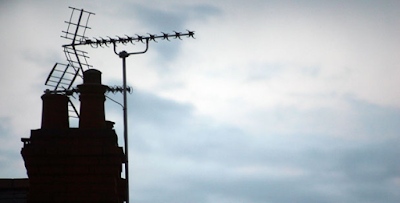 I get Freeview via a communal aerial, what about me? The landlord or property manager will need to ensure that any communal aerials or channelised systems are adjusted. The industry will be informed as each local retune date approaches, in a similar way to the process used for digital switchover. Ofcom, Digital UK, Freeview and Digital Mobile Spectrum Ltd are working together - you'll hear more from them as the time for your local retune approaches. Will there will help and assistance available to viewers? Digital UK, the company in charge of managing digital terrestrial TV and Digital Mobile Spectrum Ltd, the company in charge of mitigating the impact of mobile networks using former TV frequencies will have help and assistance - details will be released closer to the time. The Freeview website will also carry information for viewers. In the 2015 Budget, former chancellor George Osbourne pledged £600million to support the cost of 700MHz clearance, with some of that money supporting Freeview households. His exact words: "These funds will support the infrastructure costs of clearing the spectrum frequency, including support to consumers where appropriate, and retuning broadcast transmitters to enable broadcasters to move into a lower frequency. " If you can't receive Freeview channels 101-105, be aware that the number of channels you can receive is likely to decrease in the coming years. Exact details haven't been released yet, but in order to fit the same number of Freeview channels on fewer frequencies, there are plans to switch more of the Freeview service to the broadcast standard used for HD channels, a standard called "DVB-T2". Older receivers that only support "DVB-T" will be affected in the long-term. If you are buying a new TV or PVR, you should ensure it can receive Freeview HD channels. Look out for the Freeview HD or Freeview Play logos on equipment. These devices support the DVB-T2 standard. All devices carrying the Freeview logo since 1st January 2017 must be compatible with Freeview HD, but there's still older stock around in shops that doesn't comply with that rule, so watch out. I've heard this is the EU's fault. After Brexit why will this affect us? The 700MHz is already used in the Americas and Asia-Pacific regions for mobile networks. The decision to clear the 700MHz frequency band in Europe for mobile services was made in 2015 at an international conference organised by the ITU, a United Nations agency in Geneva, Switzerland. Although the EU wants all countries to have cleared the 700MHz band of TV services by 2022, the UK's Ofcom said in October 2016 it is planning to have things done by May 2020. The UK will need to co-ordinate changes with neighbouring EU countries in order to avoid frequency interference, but otherwise this is a change that will take place regardless of the UK's position in Europe. Will this affect how many multiplexes I can receive? In some areas, viewers can receive up to eight national Freeview "multiplexes", or groups of channels. For a transitional period, some multiplexes will move to a temporary frequency. 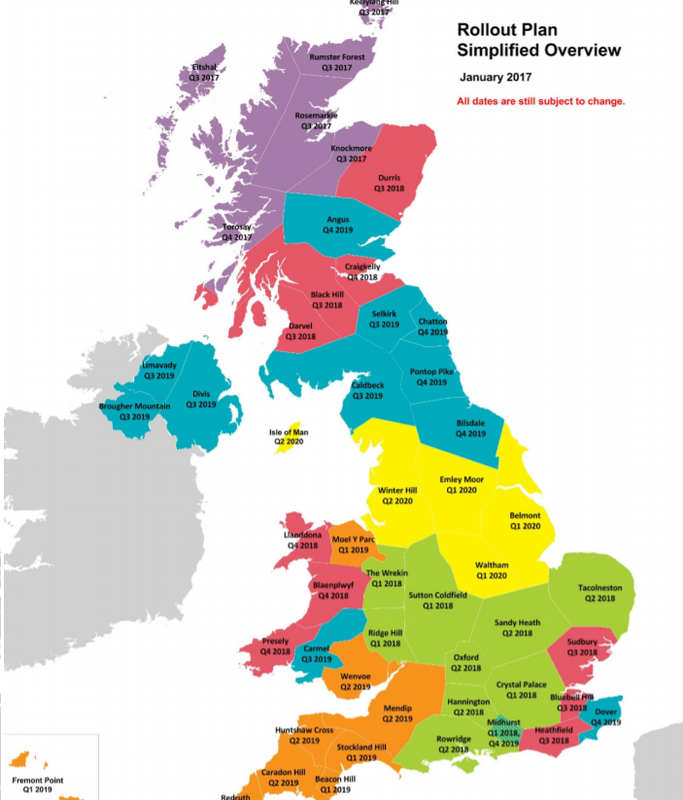 Once the clearance is complete, the number of national Freeview multiplexes reduces to six, but changes to the way the service is broadcast should enable the same number of channels to continue broadcasting on Freeview. What are the new frequencies? Please note: there will only be six national multiplexes, not eight after 700MHz clearance. 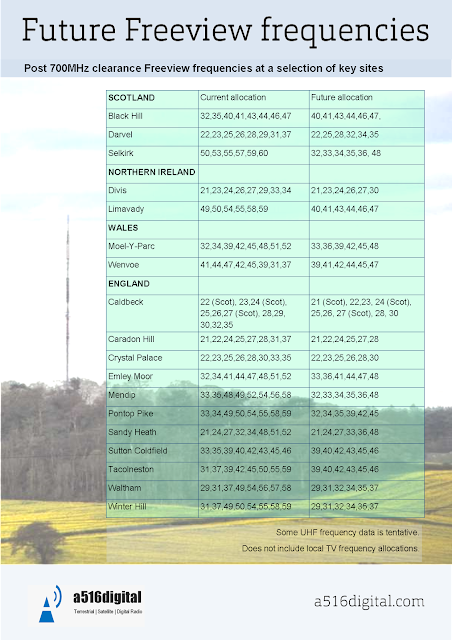 The table shows frequency allocations, not which TV channels will appear on each frequency - that level of detail is yet to come, when it will be clearer how channels will be distributed on each multiplex. The information is from non-UK sources, as Ofcom and Digital UK haven't yet released this level of information. Touch to enlarge on mobile devices. a516digital hopes to be able to publish additional data soon.